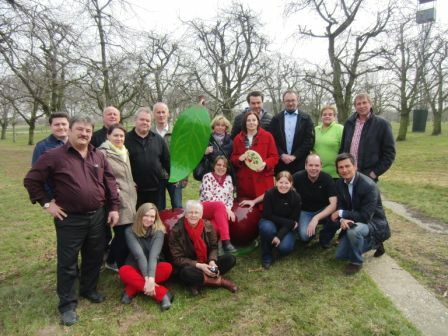 In this Transnational Cooperation (TNC) project farmers and tourism operators from LAG areas in Austria and the Netherlands cooperate to transfer knowledge about cherry cultivation, product development and recreational offers around the cherry theme. Cherries have been cultivated in the Dutch Kromme Rijn region since long, and until the 1950s its 190 ha orchard represented one of the major cherry growing areas of the Netherlands. Following a period of decline, cherry growing has become an important economic activity again, with new orchards being added every year. In Austria’s Nordburgenland area, next to grapes, cherries are the most important product of the “Cherry Blossom Region”, which is why its marketing strategy deliberately focuses on the cherry theme, in order to develop the area’s profile as “Genussregion” (gourmet region). The overall objective is to jointly exploit the cherry theme to further strengthen the local identity of both regions. More specifically, the project aims to facilitate the exchange of experience among farmers and tourism operators. 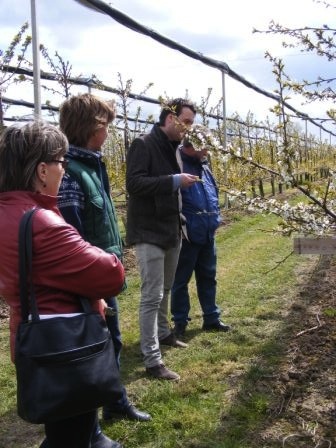 Understanding their different strengths as learning opportunities, Kromme Rijn offers professional cherry growing knowledge (e.g. cultivation techniques, quality assurance, and related improvements) and leisure activities around the cherry theme; while Nordburgenland grants access to its experience with the development of an integrated marketing approach, i.e. the use and promotion of the cherry as the region’s quality label for PR and tourism purposes. Reciprocal visits to the partners’ areas are the project’s main driving force. Since 2012, meetings have been organised every year in April and November to ensure an on-going exchange of experience in above areas. Rural entrepreneurs from Nordburgenland have also participated in a trade fair in the Netherlands. Joint activities include the development of promotional materials and billboards providing information about cherries, as well as of plans for a future cherry museum or cherry arboretum. cherry product development, and the organization of "cherritivities" (activities related to the cherry theme) as well as approaches to the marketing of a “cherry region”. Promotional outputs included cherry brochures and flyers, cherry billboards for farmers selling fresh cherries and cherry products, and cherry information pages in tourist magazine and local newspaper. 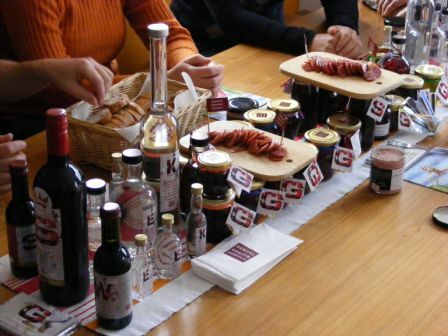 Austrian knowledge and experience also inspired a Dutch concept for a cherry museum, including an orchard to present several local cherry varieties, and the piloting of new cherry products, such as cherry sausage, cherry pâté, and cherry bread. “Partner visits are a very good way to exchange knowledge and experience”, says Maike van der Maat, who works with "Kromme Rijnstreek", a foundation promoting the area’s cherry production. 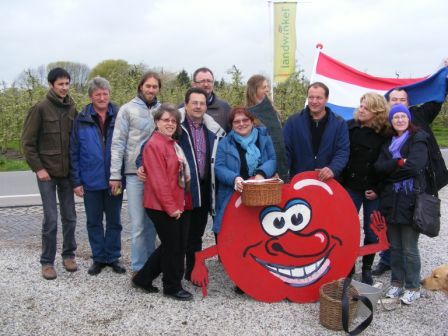 “Seeing something in real life leaves you with a much better impression”, and accordingly local entrepreneurs in June 2013 used the Kromme Rijn summer festival, which symbolically opens the cherry season by presenting the first basket of fresh cherries, to also introduce their newly developed cherry products.